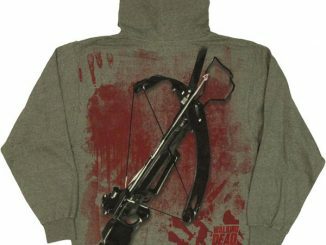 Prepare for the upcoming zombie apocalypse and look good doing it with The Walking Dead Survive Zip-Up Hoodie. 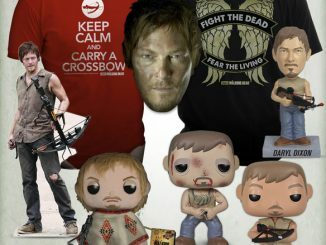 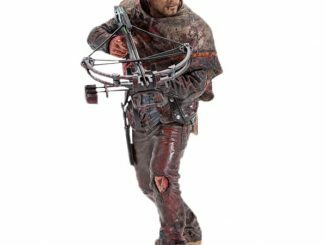 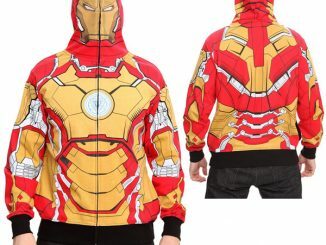 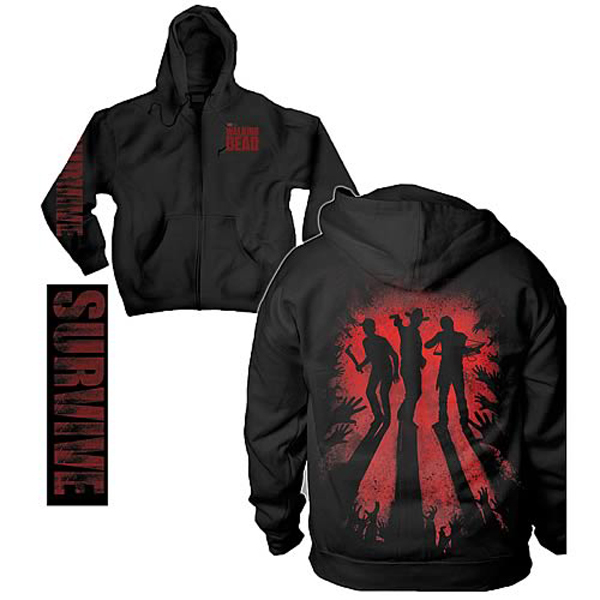 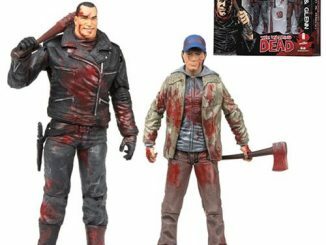 In addition to having the logo for The Walking Dead emblazoned on the front and the word ‘Survive’ printed in all caps down the sleeve, you also get some great red-and-black artwork on the back of the hoodie that features the recognizable silhouettes of three fan favorites from the hit AMC series – Rick Grimes, Daryl Dixon, and Glenn Rhee. 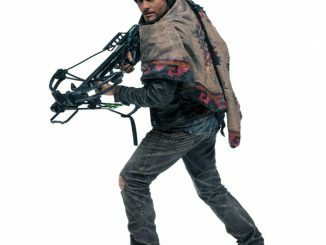 If you’re looking for something that’s as wearable as it is collectible, the Walking Dead Survive Silhouette Black Zip-Up Hoodie is a must-have addition for your wardrobe. 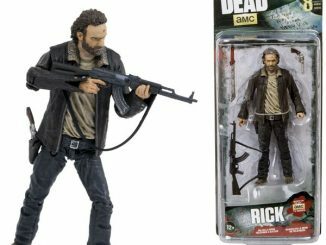 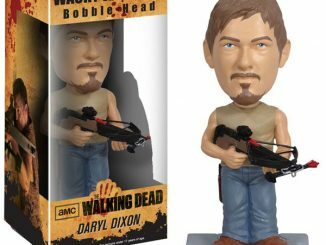 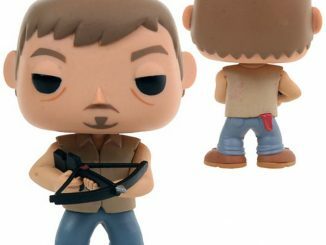 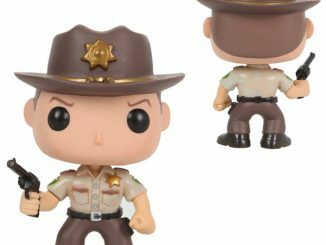 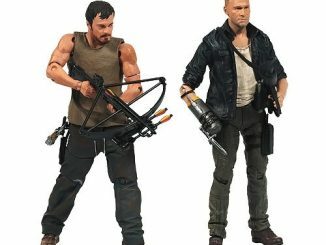 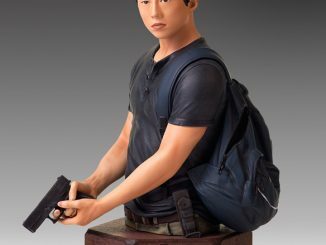 It’s available for $49.99 at Entertainment Earth.